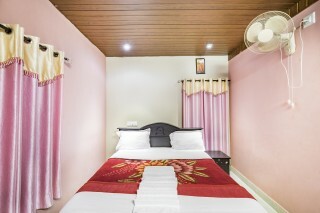 This is an offering of a private room in a homestay, which can accommodate up to three guests. This property has a generous parking area and comes with amenities such as doctor-on-call, and the services of a caretaker and driver. 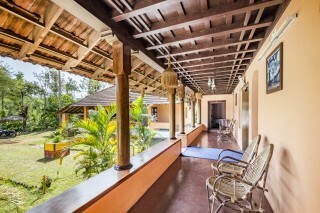 Your Space This property has a well-tended lawn dotted with tropical plants and the spacious porch area is appointed with cane chairs, so that you can sit and read. 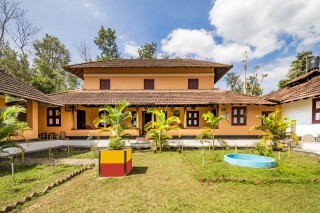 This stucco-roofed stay has a tangerine façade, which makes the property stand out attractively against the lush green surroundings. 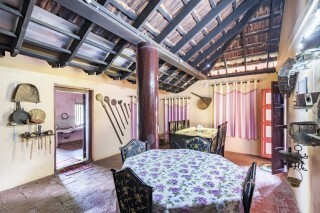 Inside, the dining area has a raftered ceiling and is furnished with dinettes enhanced by rustic artefacts, which lends a character to the space. The room on offer is furnished with a comfy double bed, a study desk, and additionally, and a wardrobe for added convenience. The en suite bathroom is well designed and fitted with modern sanitary ware. Guest Access: Feel free to access the lawn, the dining room, and the common areas of this property when you are not in your room. 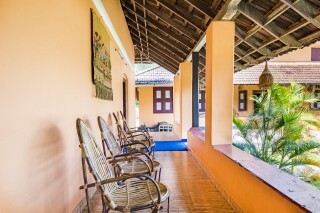 Guest Interaction: The host is available at the property to cater to all your needs. 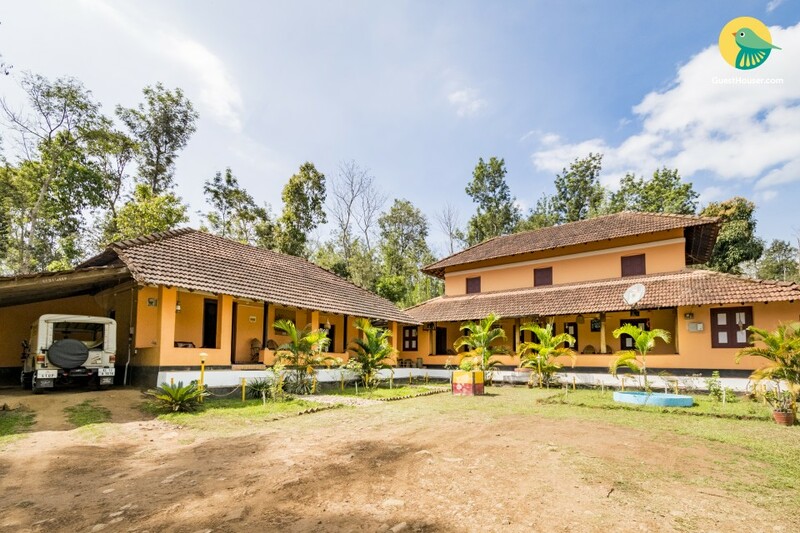 Neighbourhood Overview: The property boasts a beautiful view of coffee plantations, and is about 18 km from Nagarhole National Park. Kutta is the nearest town and is 3.4 km away. Getting Around: Mysore Airport is about 118 km away. The nearest bus stand is Kutta Bus Stand, which is 3.1 km away. Mysore Railway Station is 101 km away. Additional Information: Guests are requested to provide valid identification at the time of check-in. Breakfast is complimentary here. Other meals are served at additional charges. Please refrain from playing loud music. Campfires can be arranged on request and charged separately. The host does not lend his property to local residents. The host regrets any inconvenience this may cause. Guests are requested to leave their footwear outside their respective rooms. Places to visit - Wayanad Wildlife Sanctuary (Kalpetta) - 13.5 km. Thirunelli Temple - 18.2 km. 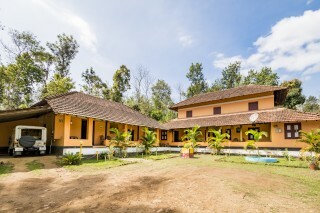 Kuruvadweep (Kalpetta) - 19.2 km. Thrissilery Shiva Temple - 20.8 km. Pazhassi Raja Tomb (Kalpetta) - 23.0 km. Panamaram Jain Temple - 27.3 km. Sree Maha Ganapathy Temple (Sultan Battery) - 51.1 km. Best place for nature lovers. Homely atmosphere also. Kozhikode Railway Station - 121 km. Calicut International Airport - 132 km. Thetroad Bus Stop - 4.9 km.